BENNETT, TEXAS (Parker County). Bennett is near Farm Road 113 fifteen miles southwest of Weatherford in southwestern Parker County. Settlement of the area, which originally was known by the Indian name Lakota, began in the middle to late 1880s. 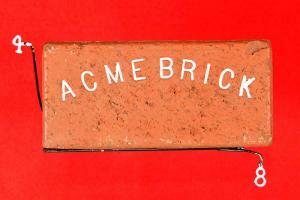 In 1890 George E. Bennett established the Acme Brick Company at the town's present site, and the community that gradually developed around the company was called Bennett. After his father's death, Walter R. Bennett assumed the responsibilities of running the company. The younger Bennett built Acme Brick into one of the largest plants in the Southwest. The company employed over 100 men who lived in Acme Brick homes, making Bennett essentially a company town. The Mineral Wells and Northwestern Railroad carried the bricks from Bennett to retail points throughout the Southwest. A church, a public school, and a general store served the Acme employees. In 1990 the population was eighty-five. In 2000 the population dropped to forty. John Clements, Flying the Colors: Texas, a Comprehensive Look at Texas Today, County by County (Dallas: Clements Research, 1984). Gustavus Adolphus Holland, History of Parker County and the Double Log Cabin (Weatherford, Texas: Herald, 1931; rpt. 1937). Weatherford Democrat, August 11, 1939. David Minor, "BENNETT, TX (PARKER COUNTY)," Handbook of Texas Online (http://www.tshaonline.org/handbook/online/articles/hnb25), accessed August 23, 2012. Published by the Texas State Historical Association.